Corrosion inhibitors are an important method for minimizing corrosion; however traditional inhibitors such as chromates pose environmental problems. Rare earth metals provide an important, environmentally-friendly alternative. This book provides a comprehensive review of current research and examines how rare earth metals can be used to prevent corrosion and applied to protect metals in such industries as aerospace and construction. Chapter 1 begins by examining the important need to replace chromate, and then goes on to discuss the chemistry of the rare earth metals and their related compounds. Chapter 2 considers the techniques that can be used to identify corrosion inhibition mechanisms and to test the levels of protection offered to different metals by rare earth compounds. 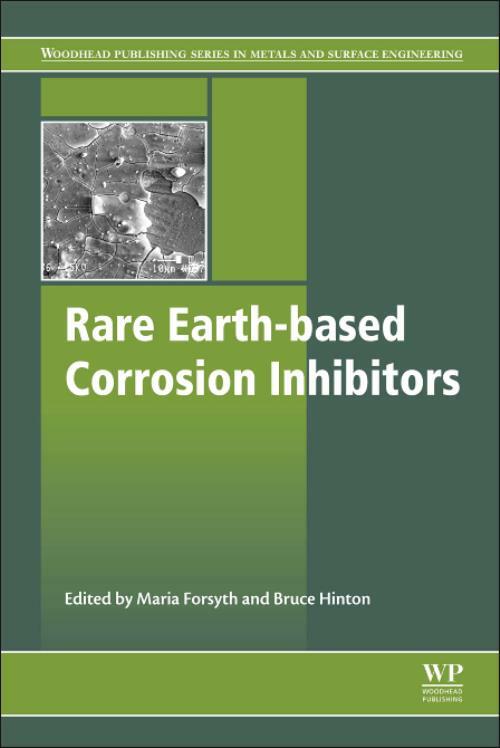 Subsequent chapters consider in more detail how rare earth elements can be used as corrosion inhibitors in different forms and for different metals. This includes discussion on the potential of rare earth elements for self-healing, tunable and multifunctional coatings. Finally, chapter 10 considers the cost and availability of the rare earths and the potential health and environmental risks associated with extracting them.